Registration for September 2019 Now Open! Pre-register today and get on the list before the spots are gone! 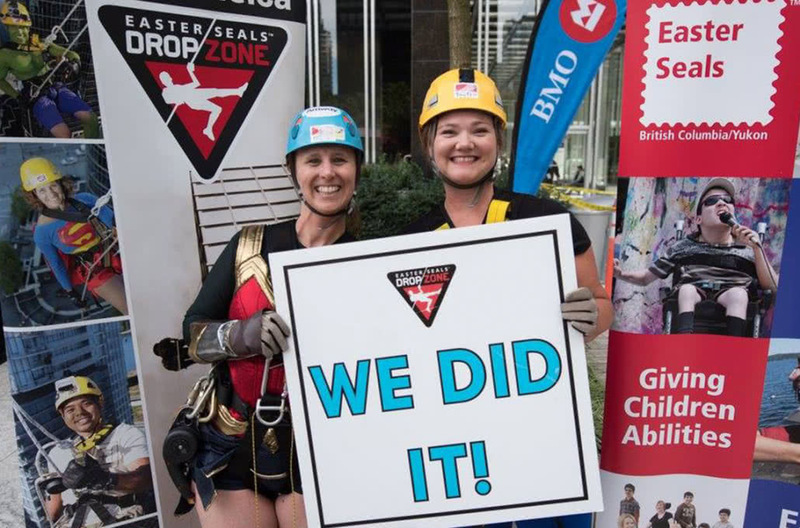 The Easter Seals Drop Zone is a knee-shaking, heart-pounding, adrenaline-pumping fundraising adventure that encourages you to get out of your comfort zone and face your fears by rappelling from the top of a towering high-rise building – all in support of individuals living with disabilities. Sign up as an individual or combine your superhero powers and fundraise as a team. For more event details and to register visit www.dropzonebc2019.ca.